Why choose us for your PLAB exam revision? Before you can practice in the UK you must first pass The Professional and Linguistic Assessments Board (PLAB) exam. The PLAB is a computer-based written exam consisting of 200 single best answer (SBA) questions. The PLAB exam has moved away from testing factual recall, it now focuses on clinical problem solving across a number of specialties and tests a candidates knowledge of the professional conduct necessary to practice as a junior doctor in the UK. BMJ OnExamination’s PLAB revision resource contains questions written by expert and experienced clinicians that incorporate all aspects of foundation training. Our fully updated and reviewed PLAB revision resource offers you a bank of over 1,320 exam format Single Best Answer questions (SBAs). Our high quality questions reflect the GMC exam to give you the closest revision experience possible. Each of our curriculum matched SBAs include a full explanation to ensure we provide you with fully comprehensive exam revision. 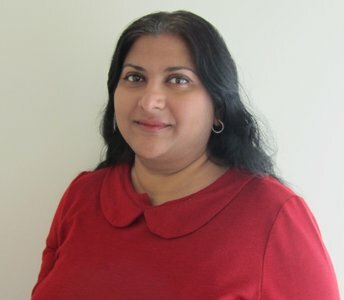 Seema Biswas is International Health editor at BMJ OnExamination. She is a general surgeon and experienced teacher and examiner. She completed her undergraduate studies and postgraduate surgical training in the UK and now has an international career in surgery, global health and medical education. Seema Biswas' Top Plab Exam Tip: It is only by practising questions that you get a good idea of what you need to know. Read up on conditions you are less familiar with after you have tried a question and force yourself to study topics that are out of your comfort zone. I completed my plab 2010. I used onexamination question bank as complementary method to boost my revision. I must agree it proved successful. I would recommend anyone to do onexamination question repeatedly and read the explanations. Very effective resource for PLAB.